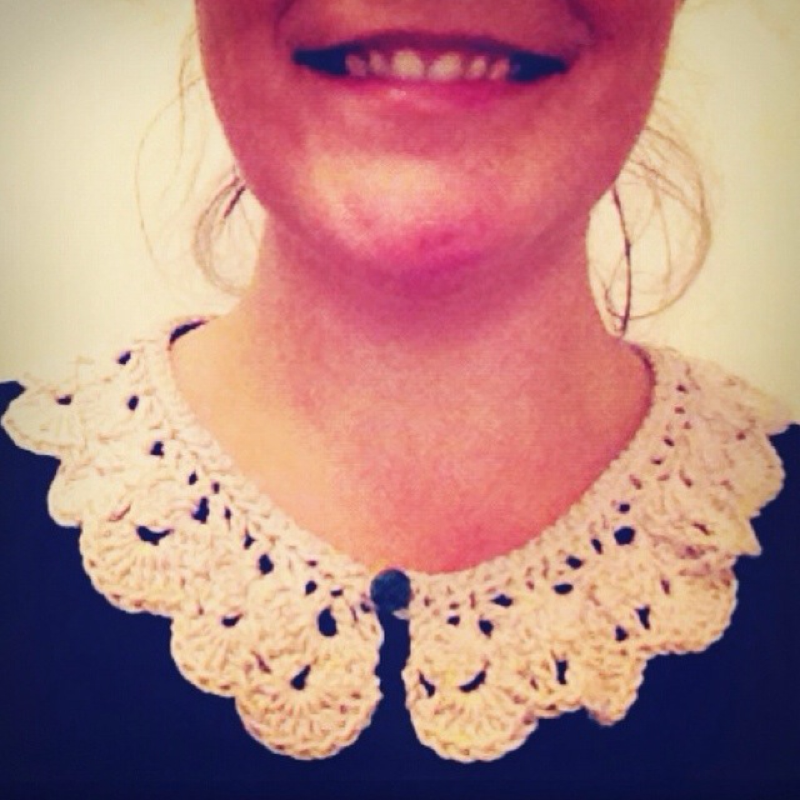 When I saw the crochet collar pattern on lululoves’ blog, I just knew I had to try making one. Well, never mind one, I’m just about to start my second, in purple (actually it’s a present for my mum’s birthday). I can’t recommend the pattern enough, the instructions are really clear and straightforward, so… what are you waiting for, raid your yarn stash and dust off that 4mm crochet hook!